What is the healthiest that you can find in the house? Milk - most will answer, probably repeating one of advertisements where happy, smiling cow is offering her milk to a child and boasting it like it is the healthiest and the best way for child to get strong, beautiful, healthy and smart. Marketing of milk and dairy industry uses scenes of cows on pastures with the bell around the neck, bath in sunshine, happy with smile, while the truth about the real dairy farms is hidden behind high fences and walls. Why don't we put a realistic picture of a cow on the wrapping of chocolate and show the pain and the misery that the cow is going through? The answer is simple: because people are living in the lie, and they like to live in lie to make it easier for themselves to enjoy in flavours, and in this way they justify the crime that is constantly happening on billions of animals. On the other hand, milk and dairy industry doesn't want to lose reputation which it has at the moment, therefore, besides meat industry, it is the leading sponsor of health programs which are based on lies about advantages of eating meat, milk and eggs. 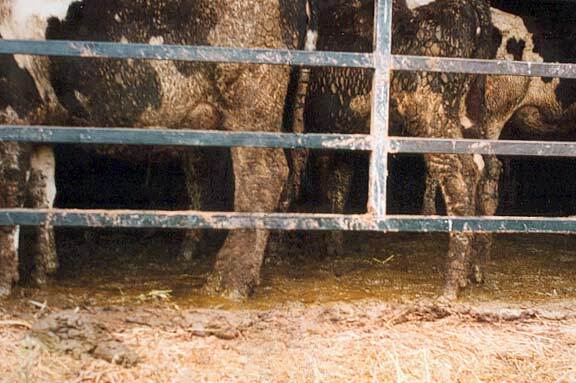 Every glass of milk, every dairy product is preceded by many years of cows' suffering, whose natural ability is used in industry which profit is based on one of the most bizarre and the most excruciating ways of abusing of animals.